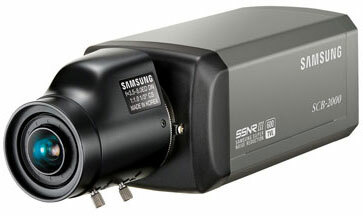 The Samsung SCB-2000 is a cost effective high resolution camera featuring our latest W-V DSP chipset. This camera offers electronic day/night capabilities with a good low light performance specification of 0.5 Lux minimum illumination. The SCB-2000 is a great general purpose camera that can be used successfully in most applications.